Clive Heward Bell, the second son of William Heward Bell (1849–1927), civil engineer, and his wife, Hannah Taylor Cory (1850–1942), was born on 16th September 1881 at Great Shefford. He was educated at Marlborough College (1895–9) and at Trinity College, where he became friends with three fellow students, Thoby Stephen, Lytton Strachey, and Leonard Woolf. All four men were greatly influenced by their philosophy tutor, George Edward Moore. Despite obtaining only a second class in both parts of the historical tripos, he was awarded an Earl of Derby studentship in 1902. He went to Paris where he became very interested in the work of modern French painters. In 1904 Bell began visiting the home of Thoby's sisters, Vanessa Stephen and Virginia Stephen in Bloomsbury. A group of friends that included John Maynard Keynes, E. M. Forster, Leonard Woolf, Lytton Strachey, David Garnett, Desmond MacCarthy, Arthur Waley and Duncan Grant, began meeting to discuss literary and artistic issues. Later this group became known as the Bloomsbury Group. Bell fell in love with Vanessa, a student at the Slade School of Art. Virginia was at first unimpressed with Bell and compared him unfavourably with her father and brother. She wrote to her friend, Violet Dickinson: "When I think of father and Thoby and then see that funny little creature twitching his pink skin and jerking out his little spasm of laughter I wonder what odd freak there is in Vanessa's eyesight." She at first rejected him but following the early death of Thoby Stephen, she married him on 7th February 1907. The couple had two sons - Julian Bell (1908-1937) and Quentin Bell (1910-1996). According to her biographer, Anne Olivier Bell: "Although Vanessa Bell shared her husband's interest in the developments of contemporary French art, her own painting remained essentially sober and tonal." Vanessa Curtis, the author of Virginia Woolf's Women (2002), points out that after their marriage, Clive became very close to Virginia Stephen: "Virginia, envious of her sister's newfound married happiness, also began to court favour and affection from Clive. A flirtation between the two sprang up in Cornwall, when Vanessa was too wrapped up in her first baby, Julian, to pay much attention to anyone else. Clive, flattered, and feeling shut out by his wife, reciprocated with passion and longed to make the flirtation physical; Virginia, existing cerebrally and intellectually, was happier to draw the line at long, stimulating walks and clever letters." In 1910 Bell met Roger Fry in a railway carriage between Cambridge and London. His sister-in-law, Virginia Woolf, later recalled: "It must have been in 1910 I suppose that Clive one evening rushed upstairs in a state of the highest excitement. He had just had one of the most interesting conversations of his life. It was with Roger Fry. They had been discussing the theory of art for hours. He thought Roger Fry the most interesting person he had met since Cambridge days. So Roger appeared. He appeared, I seem to think, in a large ulster coat, every pocket of which was stuffed with a book, a paint box or something intriguing; special tips which he had bought from a little man in a back street; he had canvases under his arms; his hair flew; his eyes glowed." Later that year Bell, Fry and Desmond MacCarthy went to Paris and after visiting "Parisian dealers and private collectors, arranging an assortment of paintings to exhibit at the Grafton Galleries" in Mayfair. This included a selection of paintings by Pablo Picasso, Henri Matisse, Paul Cézanne, Édouard Manet, Paul Gauguin, André Derain and Vincent Van Gogh. As the author of Crisis of Brilliance (2009) has pointed out: "Although some of these paintings were already twenty or even thirty years old - and four of the five major artists represented were dead - they were new to most Londoners." This exhibition had a marked impression on the work of Vanessa Bell. The critic for The Pall Mall Gazette described the paintings as the "output of a lunatic asylum". Robert Ross of The Morning Post agreed claiming the "emotions of these painters... are of no interest except to the student of pathology and the specialist in abnormality". These comments were especially hurtful to Fry as his wife had recently been committed to an institution suffering from schizophrenia. Paul Nash recalled that he saw Claude Phillips, the art critic of The Daily Telegraph, on leaving the exhibition, "threw down his catalogue upon the threshold of the Grafton Galleries and stamped on it." Clive Bell had a series of affairs, including an important long-term relationship with Mary Hutchinson, the wife of St John Hutchinson. 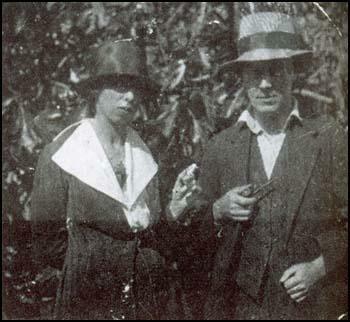 In the spring of 1911 Bell went on holiday to Turkey with his wife and Roger Fry. During her stay Vanessa had a miscarriage and a mental breakdown. Virginia Stephen went out to help nurse her. She was also going through a period of depression. She wrote: "To be 29 and unmarried - to be a failure - childless - insane too, no writer." That summer Vanessa began an affair with Fry. They tried to keep in secret from Virginia but on 18th January 1912, Vanessa wrote to Fry: "Virginia told me last night that she suspected me of having a liaison with you. She has been quick to suspect it, hasn't she?" Knowledge of the affair was a major influence on why Virginia decided to marry Leonard Woolf. Bell and Fry selected paintings for the exhibition entitled "British, French and Russian Artists" that was held at the Grafton Galleries, between October 1912 and January 1913. Artists included in the exhibition included Vanessa Bell, Duncan Grant, Percy Wyndham Lewis, Spencer Gore, Pablo Picasso, Henri Matisse, Paul Cézanne and Wassily Kandinsky. According to David Boyd Haycock: "Fry's second exhibition was not as badly received as the first. The intervening two years had seen a number of avant-garde shows in London, highlighting the work of continental modernism, and the art world was suddenly awash with isms." In 1914 Bell published his book Art. According to his biographer, James Beechey: "Here he put forward his famous theory of significant form, the proposition that the quality common to all works of art, from the Byzantines to the cubists, consists of ‘relations and combinations of lines and colours’. The representational elements in a picture were, he believed, irrelevant to aesthetic contemplation: in a much-quoted passage he declared that ‘to appreciate a work of art we need bring with us nothing from life, no knowledge of its ideas and affairs, no familiarity with its emotions’... Bell's polemical style was ideally suited to his demolition of canonical aesthetic values, and his book had an enormously liberating effect on a generation of artists and viewers." When the First World War was declared Clifford Allen and Fenner Brockway, formed the No-Conscription Fellowship (NCF), an organisation that encouraged men to refuse war service. The NCF required its members to "refuse from conscientious motives to bear arms because they consider human life to be sacred." Clive and Vanessa, who were both pacifists, joined the NCF. Bell's pamphlet Peace at Once (1915), in which he courageously argued for a negotiated settlement with Germany, was seized by the police and was destroyed. During the war Bell left his wife and she now lived with Duncan Grant and David Garnett at Wissett Lodge in Suffolk and later at Charleston Farmhouse, near Firle, where Grant, also a pacifist, undertook farm work until the end of the war. In 1918 Vanessa gave birth to Grant's child, Angelica Garnett. Garnett wrote to a friend shortly afterwards, "I think of marrying it. When she is 20, I shall be 46 – will it be scandalous?" Most people, including Angelica, thought Clive Bell was the father. 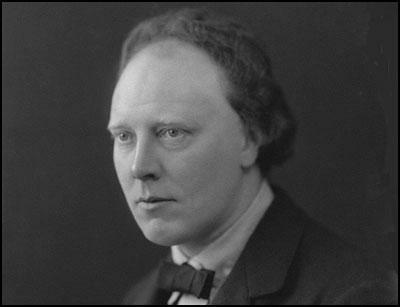 His biographer, Quentin Bell has argued: "Despite various homosexual allegiances in subsequent years, Grant's relationship with Vanessa Bell endured to the end; it became primarily a domestic and creative union, the two artists painting side by side, often in the same studio, admiring but also criticizing each other's efforts." Clive Bell wrote about art for The Nation and The New Statesman. His biographer, James Beechey, has argued that: "If he was rather too prone to denigrate English art in favour of French, and was sometimes guilty of over-praising his friends, he was surely right in 1920 to recognize Picasso and Matisse as the two giants of the modern movement. He also encouraged younger painters such as Ivon Hitchens and Victor Pasmore; but he never came to terms with abstractionism, which his earlier writings had anticipated." 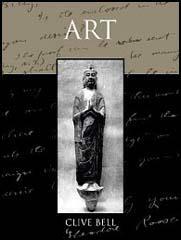 Books written by Bell include Since Cézanne (1922), Landmarks in Nineteenth-Century Painting (1927), An Account of French Painting (1931) and Enjoying Pictures (1934). On the outbreak of the Spanish Civil War his son, Julian Bell, decided that he must contribute to the war against fascism. His mother tried to persuade him not to go. So did his friends. David Garnett later recalled how he went to Charleston "to try to persuade him that he would be far better employed in helping to prepare for inevitable war against Hitler than in risking his life in Spain where he could take no effective or important part." Virginia Woolf arranged for Bell to meet Kingsley Martin and Stephen Spender, as they both had unpleasant experiences in Spain during the early stages of the war. E. M. Forster also tried to convince him that it would be an immoral act to take part in a war. Bell defended his decision by claiming that he was no longer a pacifist. However, after pleading from his mother, he agreed that he would go to Spain, not as a soldier in the International Brigades but as an ambulance driver with the British Medical Aid Unit. On the 18th July, 1937, Julian Bell was driving his ambulance along the road outside Villanueva de la Cañada when it was hit by a bomb dropped by a Nationalist pilot. Bell was taken to the military hospital at El Escorial near Madrid. Dr. Archie Cochrane was the doctor who treated him in the receiving-room. As soon as he examined him, he realized that he had been mortally wounded; a shell fragment had penetrated deep in his chest. Bell was still conscious and murmured to Cochrane: "Well, I always wanted a mistress and a chance to go to war, and now I've had both." He then fell into a coma from which he never awakened. Bell spent much of his time with Mary Hutchinson, his mistress. However, in 1939 he gave up his London home at 50 Gordon Square and went to live with Vanessa Bell and Duncan Grant at their Charleston Farmhouse, near Firle. Later he went to live with Barbara Bagenal (1891–1984). 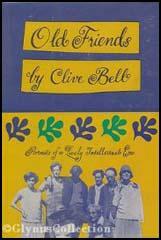 In 1956 Bell published a collection of memoirs, Old Friends. Bell loved entertaining friends at his home. David Garnett claimed that he seemed "an almost perfect example of James Mill's Utilitarian theory that a man cannot become rich without enriching his neighbours". Clive Bell died of cancer at Fitzroy House Nursing Home, Fitzroy Square, on 17th September 1964.